SAVE 5% when you order 2+ 5L SAVE 10% when you order 4+ 5L just add to cart. Contains cypermethrin 0.1% w/w HSE # 8478 no dilution or mixing is required, this product is ready-to-use for amateur use in public hygiene areas by application to hard surfaces including walls, floors, cracks and crevices. 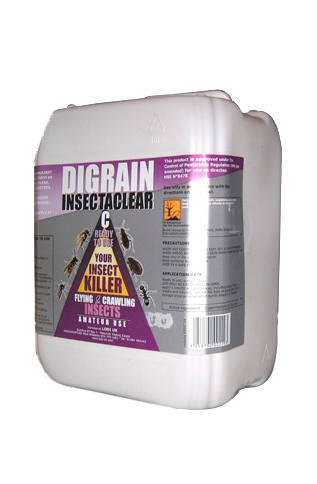 Not suitable for treatment of soft furnishings, bedding & carpets, instead use Insectaclear STRONG (IC119) for this purpose, see "related products". Ideal for use around the home on hard surfaces such as walls and hard floors, skirtings, door frames, bins and bin storage areas. 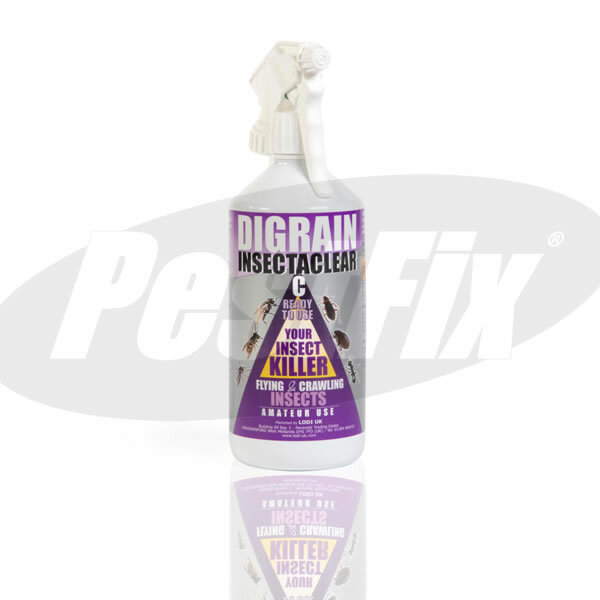 Not recommended for use on kitchen work surfaces, bedding, mattresses or carpeting, for these applications Insectaclear STRONG (IC119) should be used. See "related products". Application Rate: Ready to use surface spray apply 1 litre / 20 square metres (50ml per square metre) to hard surfaces, cracks and crevices, around the base of kitchen equipment, bin storage areas, or spray short bursts directly at the insects. Keep only in the original container, keep container tightly closed and store in a safe place out of reach of children and pets.